Chemical Treatment Services are always looking ahead at the latest available technology for legionella control, log books and monitoring. 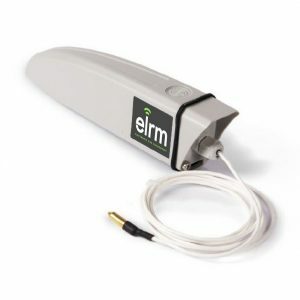 With our compliance partner ELRM we are now able to offer full remote temperature monitoring using probe and gateway based technologies. This will mean that instead of a technician having to visit sites every month to record a “snapshot” of the water temperatures to try and comply with the HSG274 guidance we can now show FULL compliance with 24/7 monitoring of specific assets. Not only will this increase compliance to all our clients but it will also show areas of little use and can highlight risks quicker and more efficiently. There are three hardware elements to the system which when combined provide a fully integrated way to remotely monitor water storage and delivery of temperatures on individual or multiple sites. The system can also perform automatic flushing and temperature testing at sentinel outlet locations in accordance with HSG274 Part 2 table 2.1. Routine temperatures and weekly sentinel test results are captured locally via probes and the information is then transmitted via GPRS, Wi-Fi, or ethernet to the ELRM web based portal for the management company to review. Should a temperature be recorded which is outside of the parameters set in the HSG274 guidance an alarm will be sent via email to the responsible person for the site. This email will list the building name and location of the outlet which is at risk allowing swift remedial action to be taken and avoid the potential of legionella proliferation throughout the water system. 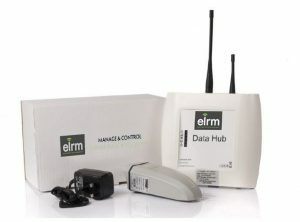 Combined with the ELRM manual input app this is the only system on the market which has the capability of offering both solutions in a combined software.